Happy Tuesday and WELCOME BACK! Today we are bringing you our favorite bars from the East to West. It is kind of wild that bars between NY and LA can be so different yet the people can be so similar if that makes sense? So today we are breaking down our faves in loads of different categories. We would also love to hear from you! Is your favorite on this list or is it missing? Leave it in the comments below! Courtney – East Coast Picks! Gilligan’s at the Soho Grand Hotel: For starters it is adorable. The decor is next level and the drinks are amazing! 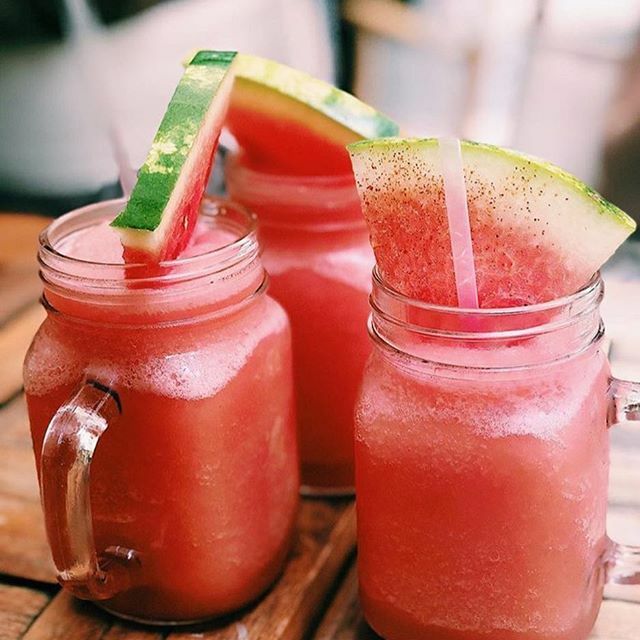 My personal fave is the Watermelon Marg (pictured). A place definitely more for the summer but since it is still 80 degree’s out in NY, you could definitely give it a whirl! Located in Soho. Kind Regards: A Lower East Side sanctuary. Perfect bar for when you graduate the Piano’s/Hair of the Dog stage of your life. Ghost Donkey: It is pink, it is fun and it is Instagramable. The perfect bar to make the men in your life wondering where you are and what you are drinking! (pictured below) Located in Bowery. 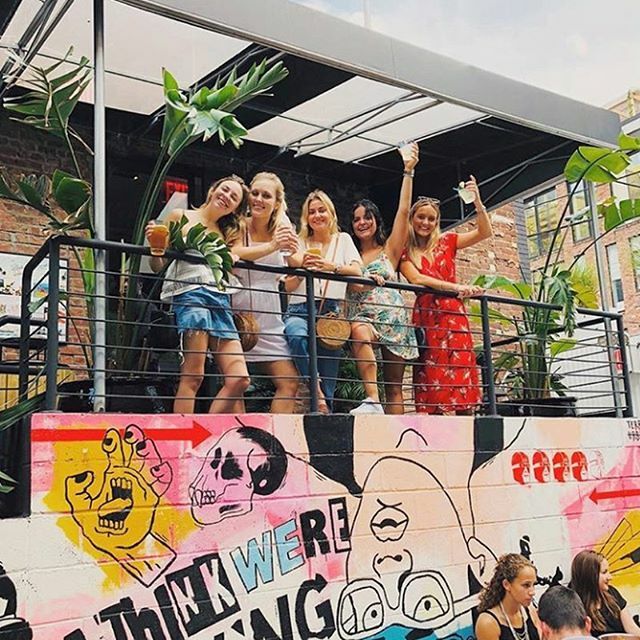 NYC MAKE OUT BARS: Are you looking to meet your NYC soulmate (or maybe just for one night lol) well look no further than these 3 STAPLE bars. TBH I am sure almost all of us have been to one of these at least 5 million times. 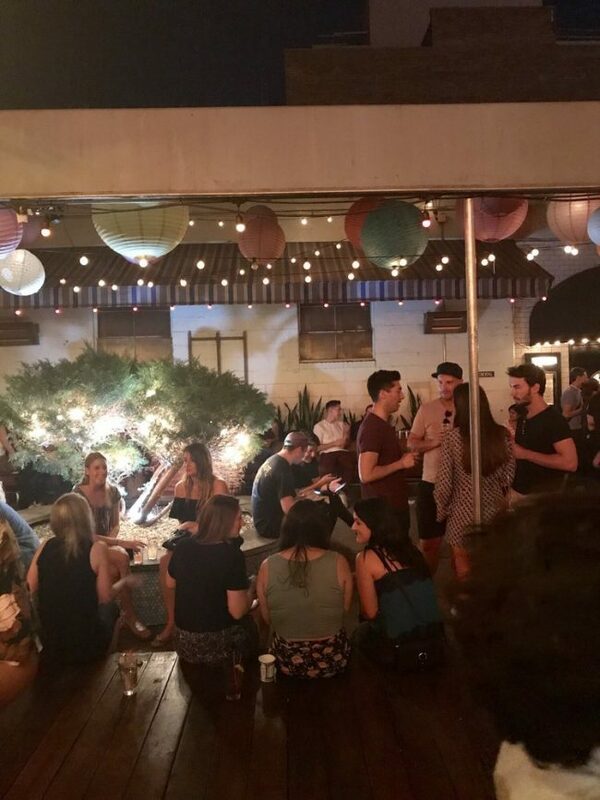 Union Pool: Located in Williamsburg, Brooklyn and a place you will accidentally find yourself until 4am. Truth be told Union Pool is actually the bar Kyle and I hit it off at. He bought me a Tecate and Tequila shot at the rest was history! So yes you could find your soulmate at one of these three!! Los Feliz: Oh the memories of Los Feliz! If you are looking for a good time and a break from acting like a mature adult well look no further than this Lower East Side establishment. ***Side Note: I did go here for dinner once… fabulous tacos. 205 Club: I could not really figure out where to put this bar/club. It could easily go into GIRLS NIGHT OUT as well. However this is honestly just your go to club/bar if you want to dance. The music is fun, they play throwbacks, they age group is pretty 23-28, so young and still reckless (refer to photo below). Expect a line however, which is annoying and I am sorry. 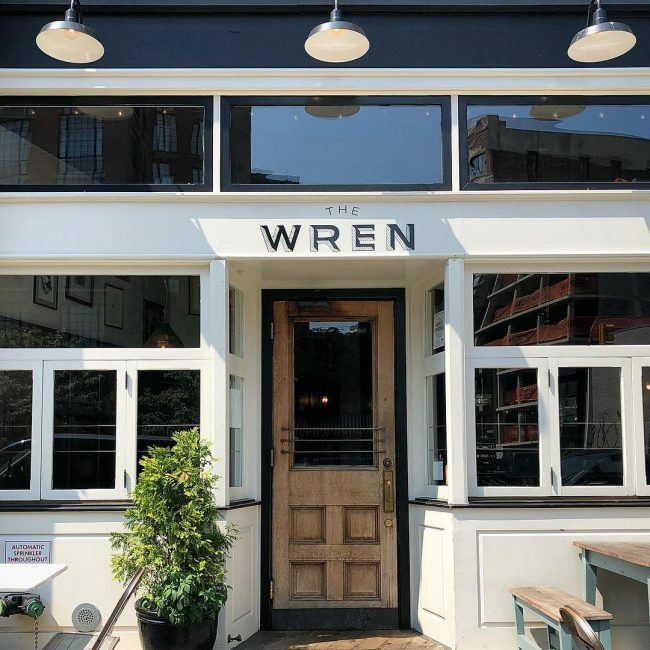 The Wren: I love The Wren! It is great because it wears so many different hats. Fun brunch, to a chill dinner to a great nighttime bar. 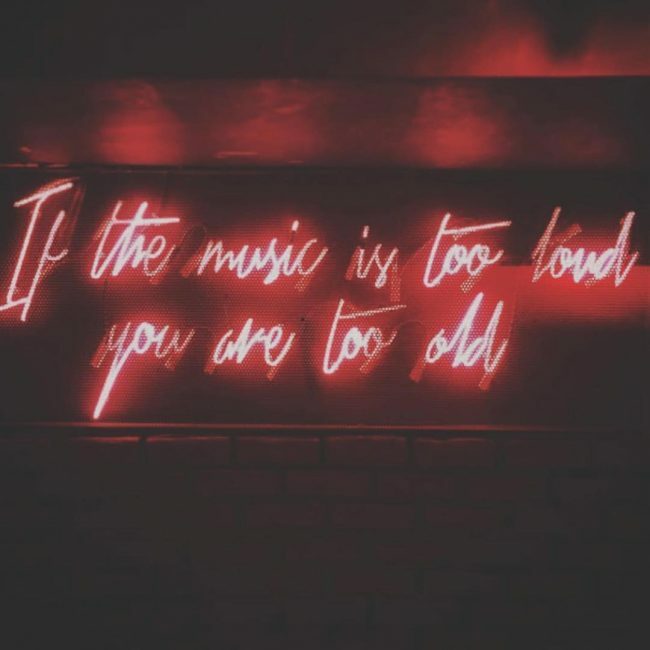 It is also located in Bowery, so there are always many options if you are vibing with your date and want to head somewhere after dinner & drinks! 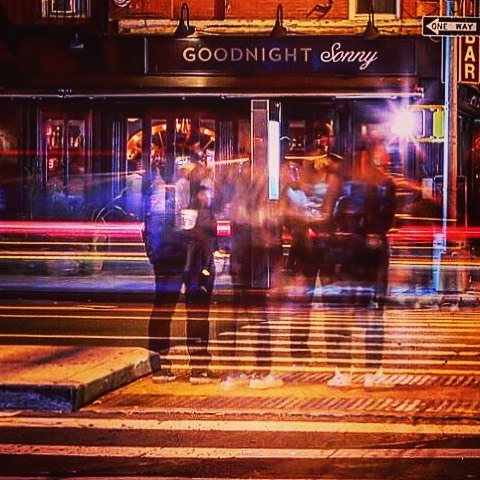 Good Night Sonny: The perfect ever so slightly romantic date night spot. When I go to GNS I always feel like I am in a NYC romantic comedy. I am not sure if it is the lighting, the ambiance, or the food but I always enjoy my time when there. Either with friends or a date! Located in East Village on 1st Ave. The Johnson’s: This is for all my Bushwick people! When Kelly and I lived there this was one each of our favorite spots. I am including it on my list for date night locations because this is where Kelly used to take a lot of her dates when single. None of them worked out but she said the food/ambiance was always the best in BK! The Freehold: At one point you could have considered this Kelly and I’s second home. We have celebrated our birthdays here, going away parties here, celebrated just to celebrate here. We have gone to Freehold for Thursday night randomness, Friday night happy hour, Saturday day drinking and Sunday Funday. We always feel like we were the first to discover it. We went there right when it opened because it was around the same time as Crown Vic closing down, which was a neighboring watering hole. We have quickly seen it blow up into becoming not only a Brooklyn Bar but a Manhattan destination. However I tell everyone visiting you will never be disappointed if you make the small trek to Williamsburg to go here and get your drink on! **Side Note: The food is also really good, we have eaten here for dinner/lunch and brunch without any complaints! Rock And Reilly’s: Throwing this in because Midtown needs some love and this is hands down the best happy hour location I had been to during my three years working for Macy’s @ 32nd and 7th. For starter’s it is HUGE. The prices are reasonable which is very hard to find in Midtown & they do offer happy hour deals on food and drinks! They also have a great view of the Empire State Building without paying rooftop prices! Located inside the Renaissance Hotel. 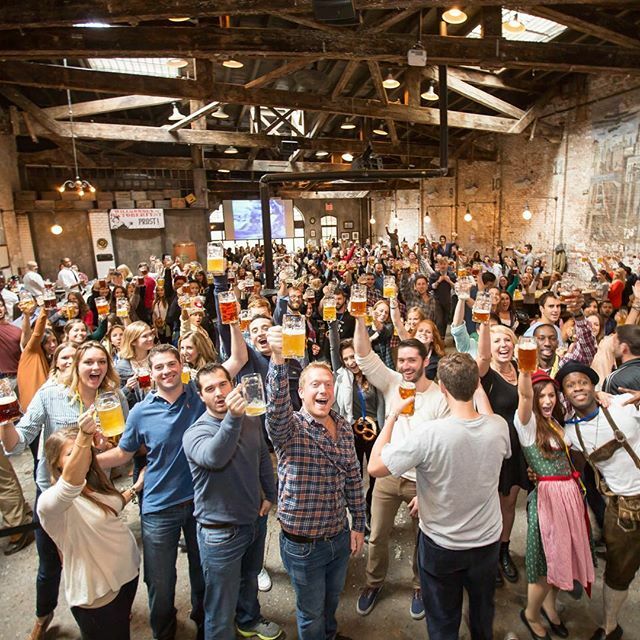 Houston Hall/Standard Beer Garden: Putting these two together because they both achieve generally the same thing just in different locations! Two of my favorite places to grab a beer in the city! They are relaxed, perfect for large parties and in fabulous locations in NYC. **Note that you will find way better Happy Hour prices at Houston Hall** Houston Hall pictured below. Grand Banks – Looking to get boujee after work one day? Well Grand Banks is the place to go! 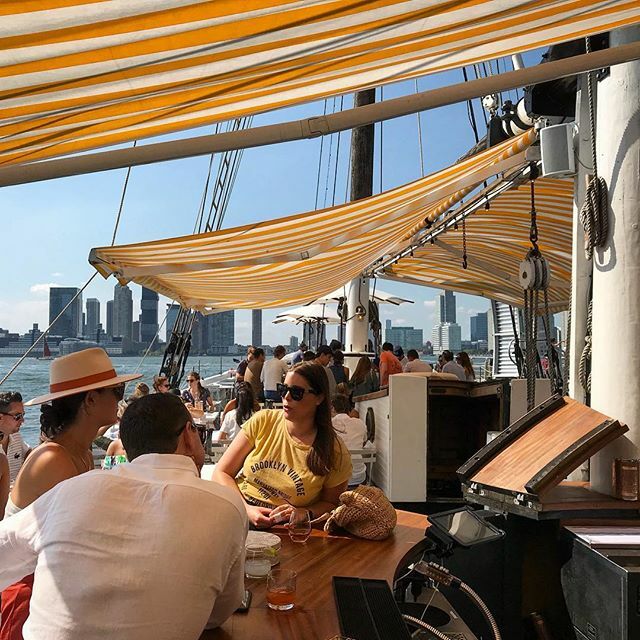 Located on a boat in the Hudson River in Hudson River Park, this offers you that escape to the Hamptons without the price tag. Again – another preferable summer spot but again it is still 80 degrees in October. 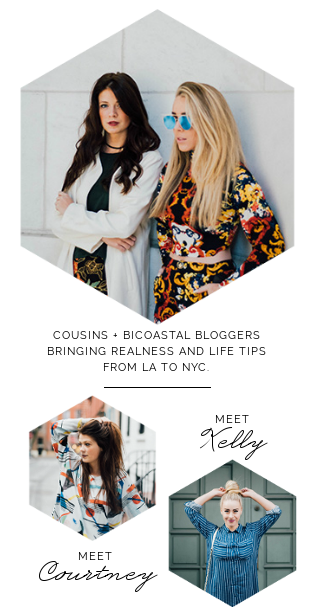 Kelly – West Coast Picks! Where to Be Seen: Look everyone in LA wants to see and be seen. I have to admit, sometimes I am that lady! 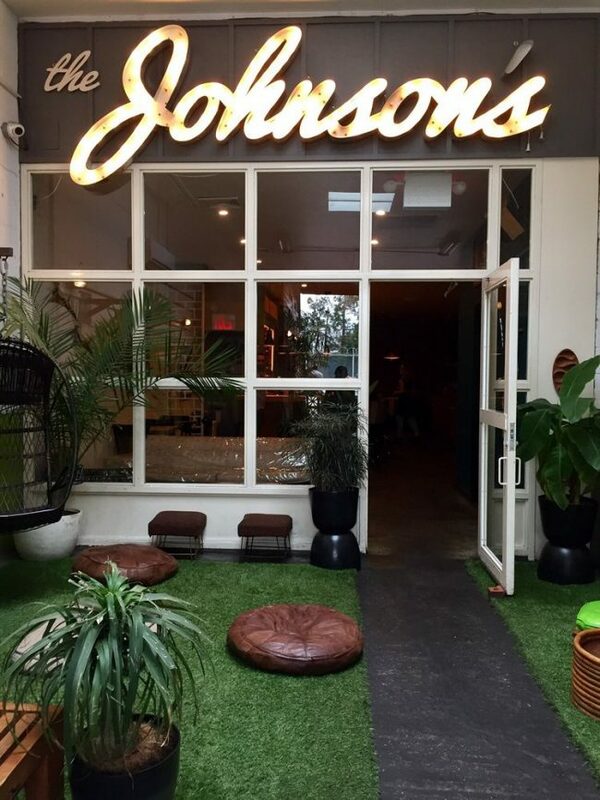 Delilah – From Sophia Ritchie to the Jenners, the lounge cocktail bar is where all those Gen Zers like to kick it. Even though the lighting is dim, everything is shiny and beautiful – from the girls, to the cocktails. Catch LA – Who doesn’t love a great Catch moment? While it’s a similar overall ~vibe~ to the NY location, it’s the decor that puts this one over-the-top. The entrance way is blossoming with flesh flowers and it’s just begging you for a perfect photo moment. Best View of the City: Granted I haven’t been to everything quite yet but so far there is one clear winner for the best views of downtown LA! Mondrian Skybar – Did I mention there is a pool too? The Mondrian skybar is a gorgeous place to lounge out in the sun and take in the beautiful views of the city! 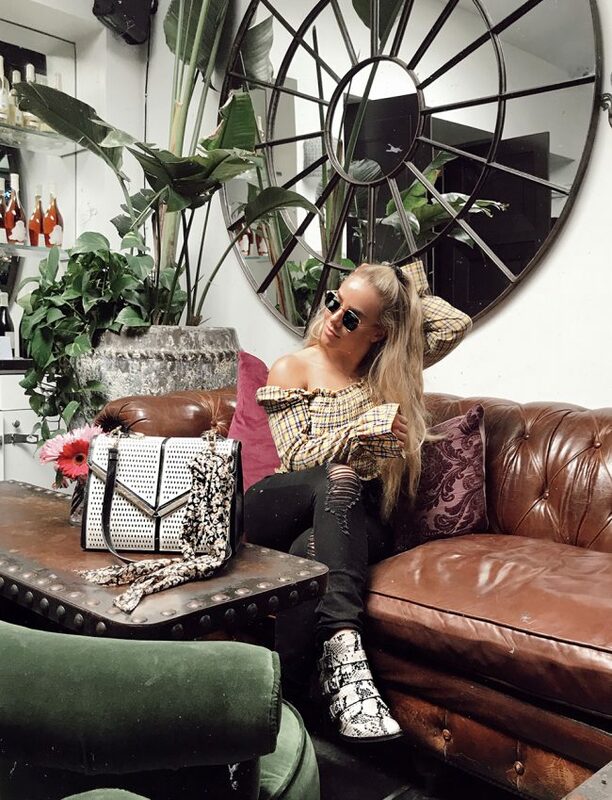 Sur Lounge – Come on ya’ll, you can’t go to West Hollywood and not pretend like you are in a fight with Jax or screaming across the table at a fellow Housewife. While I haven’t hit up Pump quite yet, you are bound to see a bravolebrity at either place any given day of the week at Sur. And yes, you must try the goat cheese balls. 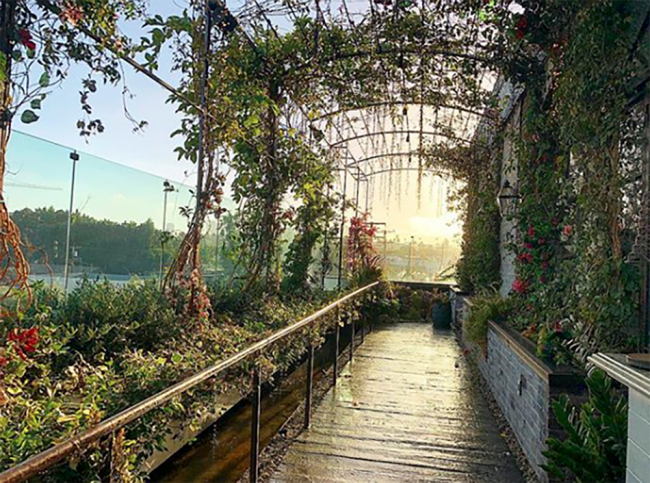 Best Outdoor Patios: The one thing that simply cannot be beat about bars in LA, the most amazing outdoor patios and the fact that you can frequent them year around. 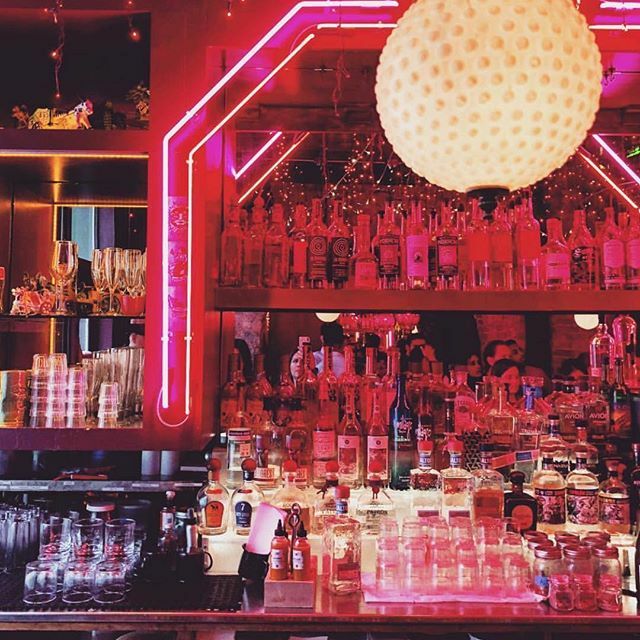 Gracias Madre – Many bloggers go-to spot for drinks and meetings. Their margs and guac are too die for and the overall aesthetic is perfectly clean and crisp! 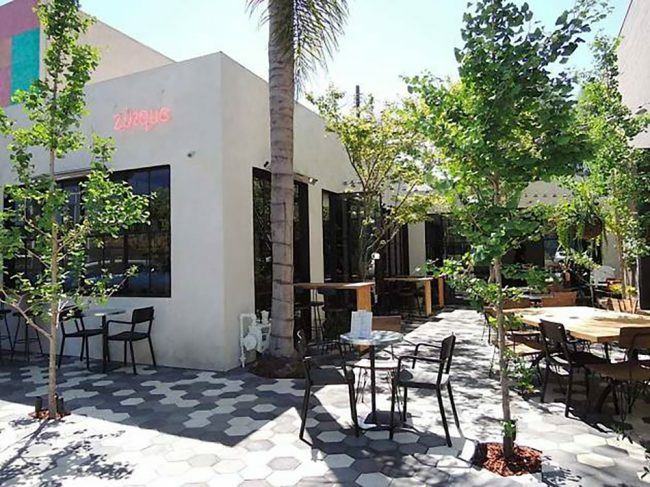 Zinque – You cannot get much better than the beautiful outdoor seating at Zinque in West Hollywood. The atmosphere is definitely vibey but very relaxing. Not to mention they have a pretty nice happy hour menu! Girls Day Out: Nothing better than catching up with the gals fueled with avo toast and too much rose! 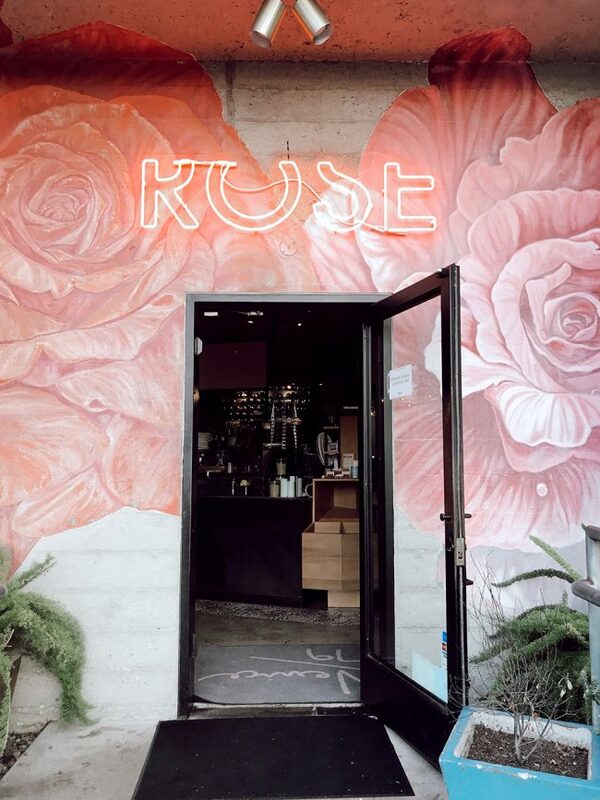 Rose Cafe – Hands down best day drinking spot. The venue is huge and while it gets really crowded it never feels too packed. Also a great place for people watching because it’s in the heart of Venice and you never really know what’s gonna go down. Late Night Make Out: Look, just because we both have boyfriends now doesn’t mean we don’t know the best spots to get a little booth make out to close out the night! 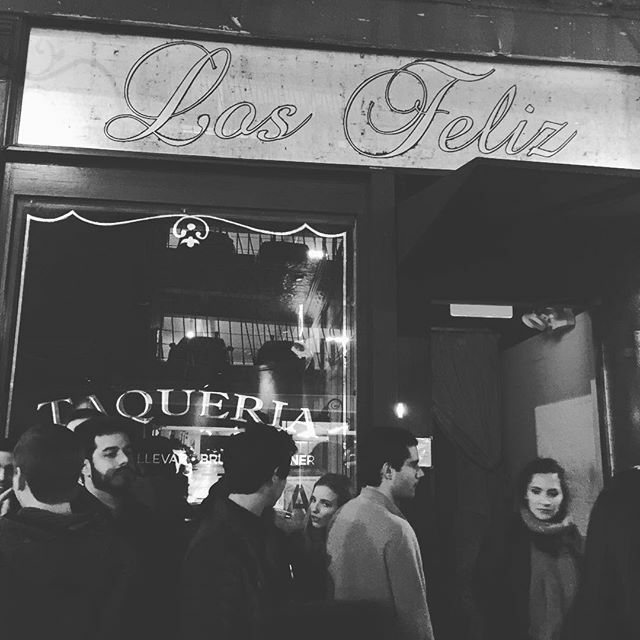 El Carmen – It’s divey, it’s cheap, it’s tequila filled, it’s the perfect recipe for some late night smooching. Their happy hour is pretty killer so even if you don’t have an evening prospect, swing by earlier in the evening to drown your sorrows in margs. Which ones are you dying to try?! !